We’ve recently been talking about how to save time while cleaning a sprayer. Although it’s very important to be thorough while cleaning, and to take the necessary time to do the job properly, there is always an opportunity to fine tune and spend less time. This is especially true when diluting the tank remainder down and pushing clean water to the booms. A method promoted in Europe, and coming to us via Joachim Herfort of Agrotop, is called “Continuous Rinsing”. The operator, having carefully measured the pesticide mixture, has only a small remainder in the tank when spraying is complete. 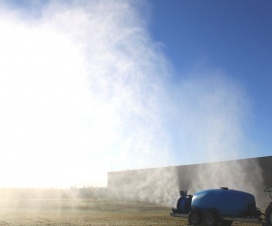 As soon as the tank is empty, indicated by the boom spray pressure dropping, the operator switches on the clean water pump which delivers the clean water via the wash-down nozzles. Soon, the main product pump starts delivering the wash-down liquid to the boom and the return lines. Because the clean water pump will deliver less than the boom flow, the cleaning mixture is delivered somewhat intermittently. We are told that this helps with the cleaning action of the lines. Be cautious that the main pump does not run dry long enough to damage its seals. Once the clean water tank is empty, the pressure drops again for the final time and the tank rinsate is now very dilute. 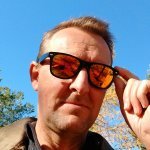 Testing in Europe has shown that the whole process takes only about half as long as batch mode. One key time-saving feature is that the sprayer never has to stop, and the operator never dismounts. 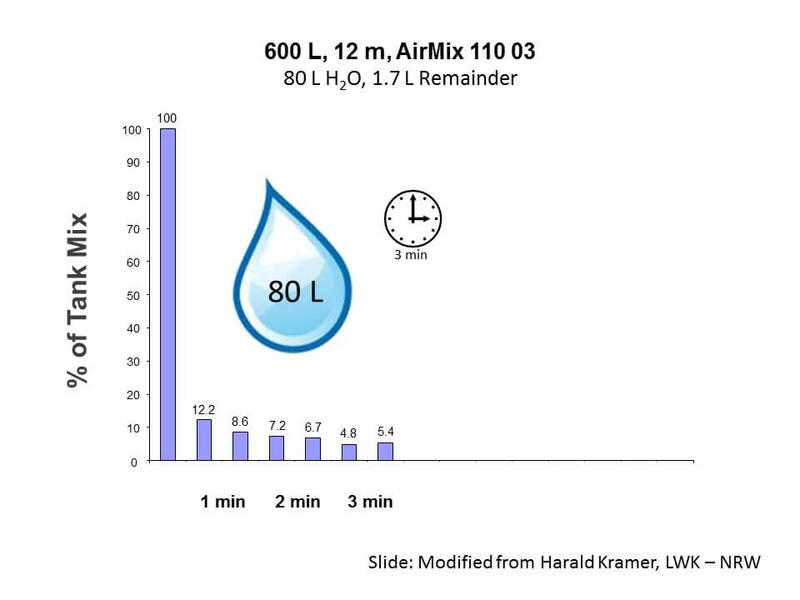 These data also show that a significantly lower water volume is required to achieve a greater dilution of the remainder than a batch mode would have achieved. For example, the European tests (we believe these were done by the Landwirtschaftskammer of Nordrhein-Westfalen, a German regional government) used a single rinse of 80 L, as well as four batch rinses of 20 L each. As expected, the four-batch process was superior to the single rinse, but took a lot of time. 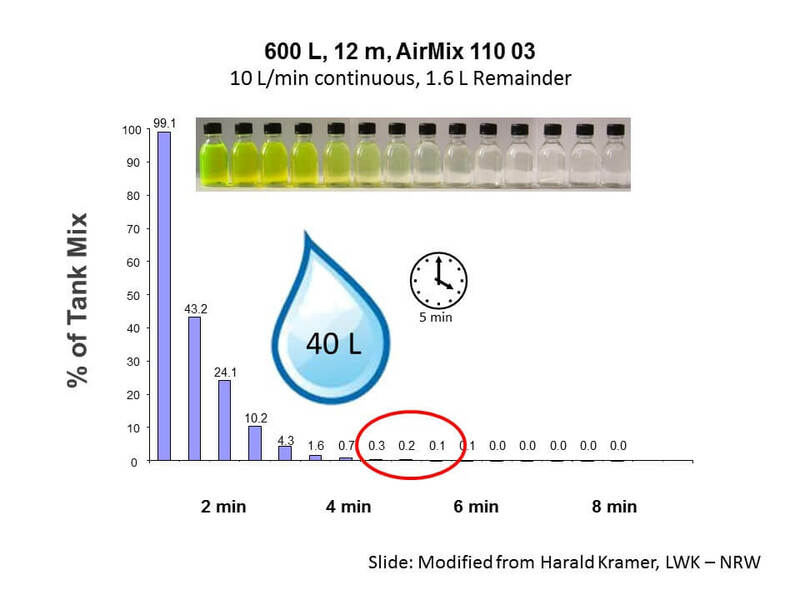 They then tested a continuous rinse with 40 L. The continuous rinse resulted in greater dilution than the 4 x 20 L rinse, in less time. In this case, the quality went up, and the time went down. 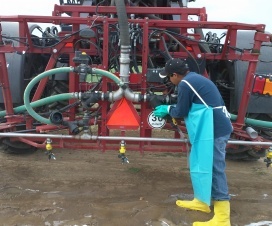 Our challenge in North America is to roughly match the clean water pump, wash-down nozzles, and main sprayer pump capacities so the system works. 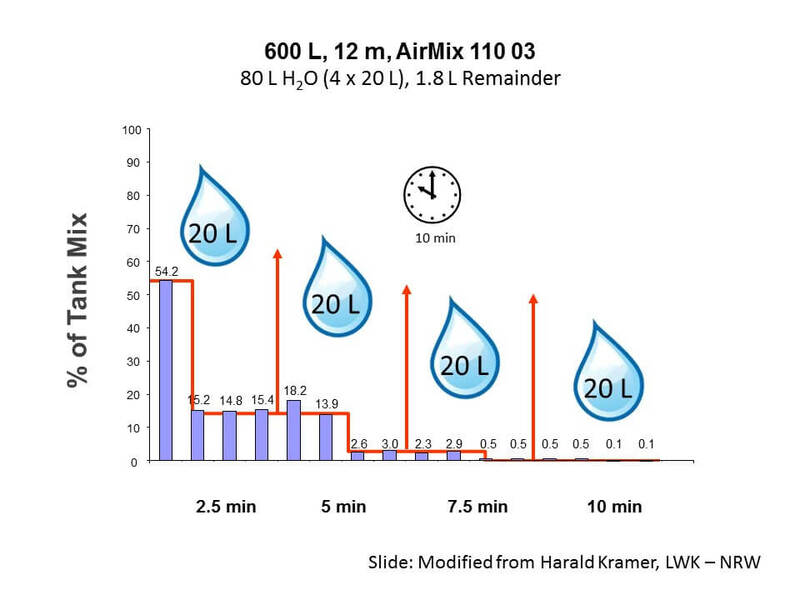 Our larger sprayers easily deliver 30 gpm, and some adjustments may be necessary. Dilution of the tank remainder is only one aspect of sprayer cleaning. The other aspect, decontamination of surfaces and components, is also important and the process depends on the active ingredients and formulations in the tank. 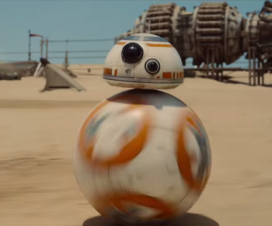 A ppt animation developed in Germany and shared via Agrotop is available here. 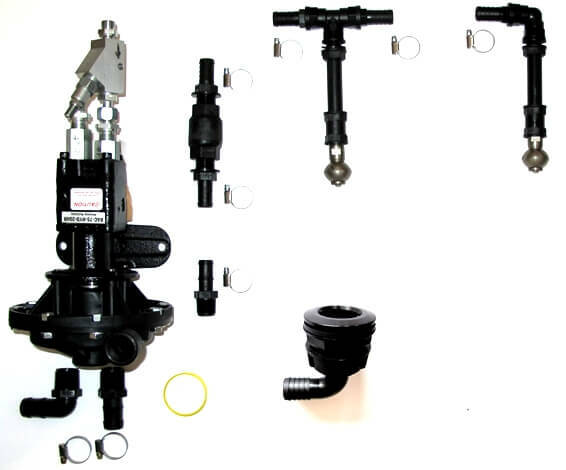 Note that Agrotop has suggested components to convert a sprayer to a continuous rinse system here.